After 10 years, I am finally caught up on all the laundry. I always wanted to be that mom, the one that had empty laundry bins, who had working knowledge of where every piece of clothing was. The mom that had certain days for certain loads: Mondays were sheets, Tuesdays were towels…that sort of thing. I’ve never been that mom. I’d say I came close once, but that’s probably not true. With three kids and a husband, there was literally laundry in places I’d never expected. Under the couch. Behind the TV. On the porch. In a weird, random closet I only went into once a year. I waved the white flag of domestic organization long ago; not because I was messy or any one of us here was, but the fact was that the five of us together seemed to be the perfect storm of household clutter. 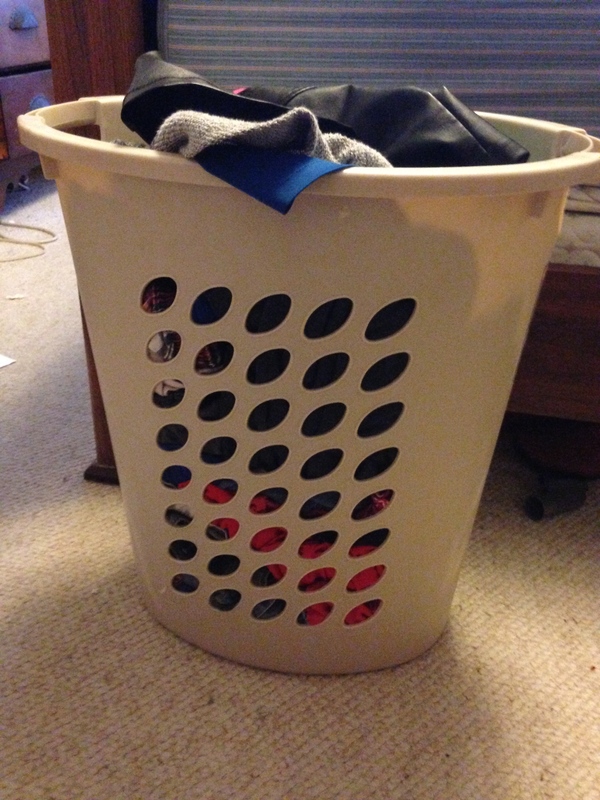 Maybe that’s why it hit me so hard today as I loaded the last laundry basket. This is it. After 10 years at the same address, my laundry battles in Wisconsin are over. I know this is the last of the laundry, because I have packed all the rest. We are moving in now less-than a week. Seven days from right now, we should (hopefully) be settled in just south of Memphis for the night. And a week from tomorrow, we will (hopefully) be pulling up to our new home in Lake Charles, LA. It all happened very quickly and I will spare you the unimportant details. I applied for a spot at nine different graduate schools, and eight rejected me. That ninth one called my bluff, and here I am amongst the cardboard boxes. It was a hard decision to make. In a “forest for the trees” sort of metaphor, the forest looks absolutely amazing; it’s the trees that have tripped me up. Wisconsin has been our home for the past 14 years, 10 of which were spent as homeowners in this house. I will be the first to tell you that I have been a constant complainer about this state, and suddenly, I’m finding it very hard to leave. This has been my home; our home. There’s not a day that goes by that I don’t try and talk myself out of this. But even in my most rational state, I know this move is necessary. My father-in-law arrives Thursday, which also happens to be the day we pick up the Penske truck. It’s 26 feet long, and I’m crossing my fingers and toes that it will hold the 1600 sq. feet of a life spent in Cheeseland. As my house gets emptier and emptier, I think about all the milestones that have happened here. Bringing babies home, watching them grow. I can point out where Annie started walking at 9 months old. Because she liked terrifying me even then, it was on the staircase. I can show you where our first call to Poison Control happened. And the second. And the third. I know where every milestone great and little happened in these four walls, and it’s hard to not be sad about leaving. I said months ago that I want my kids to be adventurers, and that means I need to be one as an example. We are pioneers packing up the mini-van, and though I am sad about leaving, I am starting to become excited about what’s ahead for us. It will certainly involve more laundry.